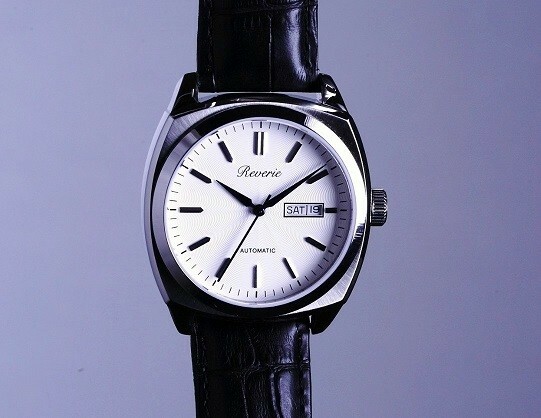 There are two kinds of crowdfunded watches – fashion accessories and real efforts at classical design and workmanship. Thankfully the Reverie Classic holds the latter place. The Classic is made by Samuel Tay who previously crowdfunded and built the Sea Spirit a handsome, nautical-themed automatic that did quite well. 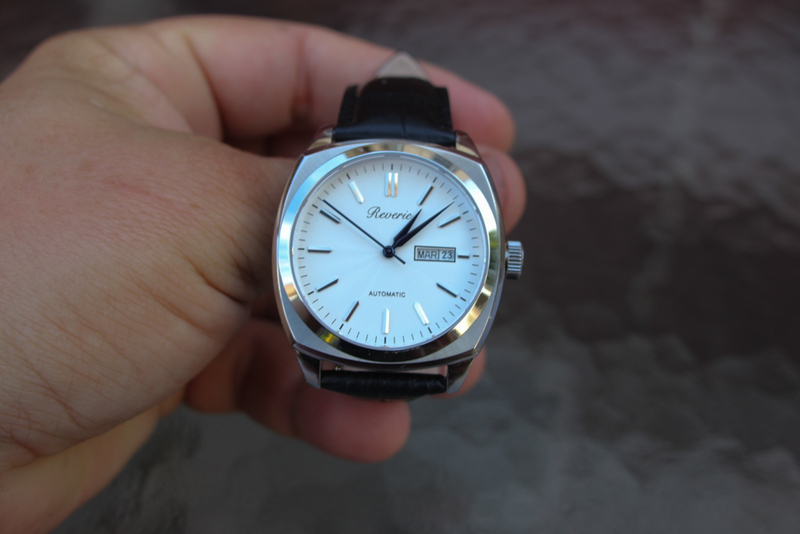 The Classic costs $350 and runs a Miyota 8218 movement – bog standard for this sort of watch. What I like – and why I’m featuring it here – is the throwback design and classic face combined with a nicely decorated automatic movement. All of these together make a delightful umami for the watch lover’s soul. The face is patterned with a guilloche, that is carefully etched with thin lines that catch the light and give a brightness to the face it wouldn’t normally have. This sort of decoration is complex and expensive and was originally designed for improved readability on old pocket watches. The blued hands are a bit anachronistic – hands are usually a little more sinuous than these broad arrows – but, for the piece, they work. There is also a day/date window and a classic signed crown. In all you get a really interesting package that makes for a compelling and quite striking watch for formal wear and, thanks to the classical throwbacks, is truly timeless. 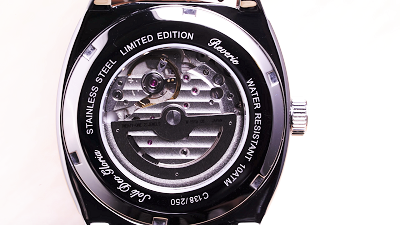 That it has a display back showing a slightly decorated movement and skeletonized winding weight is gravy. A watch like this isn’t truly high-tech but the fact that Tay was able to manufacture something like this using modern methods and at an acceptable price point certainly is. Like Xetum and Bathys, these boutique, small batch watches hit all the right notes and are affordable for those who might be getting tired of Android Wear or WatchOS. They’re well worth a second look.